I have been asked on a few occasions “Why do you do what you do?” Also, “why did you leave the local church ministry?” Both of these questions have basically the same answer. I could go all the way back to when I was 15 and God called me to the ministry the first time to answer these questions. I was on the side of the mountain in Glorieta, New Mexico talking with a girl about her relationship problems when I first heard God’s voice of calling me to the ministry. I could go to the night that God called me and I finally said “yes.” I was speaking to a group of teenagers about trusting God and I felt Him ask me “Are you truly trusting Me?” I was using Proverbs 3:5-6 as my text (hence the name Directed Path Ministries). I could answer the questions by referring to the classes I took in seminary on counseling that truly peaked my interest in counseling and had me wanting to learn more and actually practice what I was learning. I do not refer to any of those scenarios to answer this question. What I do refer to is what God has been doing in my life over the past several years. While I was on a church staff, I began to do more and more of the pastoral counseling. I began to study more and be trained in some different ways of counseling, all the while seeking God’s direction for my life. When the time came for some major changes in my life and ministry, I believe that God birthed the vision for Directed Path Ministries in my heart and I began to pursue what I saw in my spirit. Here are some of how God is using His Word to . 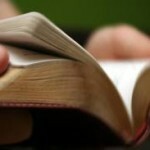 17 so that the man of God may be adequate, equipped for every good work. This passage of scripture has become my basis for the method of my counseling. As you can see that God tells us that His word is profitable for the counseling experience. As a Biblical Counselor, I take the principle of scripture to help teach individuals the truth of God’s Word and how it applies to life. If needed, I then lovingly show them how their lives do not match the principle and how correction is needed. Finally, I use scripture to help train the individual or couple in using the principle to equip them for the life that God has laid out for them. 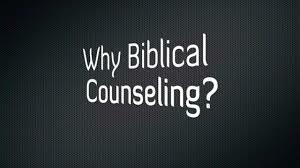 I have been asked about using other methods or modalities of counseling. I have even been asked why I did not get my license in Professional Counseling. 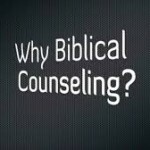 I looked into getting an LPC but the place I did at the time did not recognize any of my work as valid nor did they see scripture as a valid tool for counseling. I sought out a license through a Christian organization called Therapon and am now working on getting a PhD in Biblical Counseling through Masters Theological Research Institute. This verse that I reference is another verse that indicates that scripture is the source for what God has called me to do. God’s Word will separate the person’s emotional self from his spiritual self and communicates how to correct the differences. Obviously there are many more verses, but for today these I believe give a good demonstration of why I am a Biblical Counselor. I believe that biblical counseling can minister to all that struggle in the areas of relational, emotional, spiritual, and even some physical needs. I would love for you to respond with your thoughts. This weekend I had the opportunity to go to the home of a couple that I would consider one of the best friends in my life. We have been friends for the past 17 years and our children have been close to the same age. We have been on double dates together, eaten in each other’s homes and even gone on several church trips together. Our friendship has gone through many different stages over the years: yet each time we get together, there is a connection that bridges any gap that has been caused by our schedules, our family events, or even differences of opinions. I know that the connection is only attributed to the love we have for each other and the relationship with Christ that surpasses all of our other relationships. I want to share with you this couple’s testimony of what God is doing in their lives. It was such an honor to be in their home Saturday night even though they are experiencing some very difficult times. Some of you who read my musings will know this couple while many of you will not. Knowledge of the couple will not enhance their testimony other than to be able to pray for them by name. I am writing about Richard and Cindy Hodde. Cindy has been diagnosed with ALS (Lou Gehrig’s disease) a few months ago. I have read some about the disease but I am not sure I still understand all there is to know about ALS. What I do know is that Cindy is at the point of being bedridden. She has lost a tremendous amount of weight and most of her physical strength. I also know that there is no known cure for ALS which can be disheartening. Lisa and I along with Caleb spent about ninety minutes just talking and remembering a great deal of our families’ past. We ended the conversation with Cindy sharing her faith with us concerning her disease and her prognosis. I was totally blown away. I talk all the time about living by faith. I encourage people to “Be still and know that I am God…Ps. 46:10” in my office almost every day. Cindy shared with us that she was challenged with thoughts about God from the very beginning of this episode in her life. She questioned if she truly believed the stories in the Bible of Jesus healing the lame, blind, and lepers. She questioned if she truly believed that Jesus resurrected Lazarus from the grave after being dead for four days. She came to the realization that these were not just stories, but they were actual facts of life that has taken place through the work of God who loves greater than anyone can ever love. She was then led to the verse, “Jesus Christ is the same yesterday and today and forever.”(Heb. 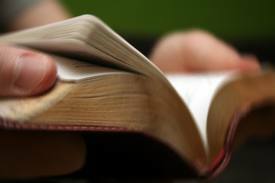 13:8) As she grappled with her beliefs of what was said in the Bible, she concluded that the Bible is just as true today as when it was written. Therefore, if God healed in scripture than He still heals today. She is living with the hope of the fact that God loves her so much that Jesus redeemed her for His purposes. Even when the doctors tell her that there is not much hope, she focuses on the truth of who God is to her and the fact that He is still at work in her life. Knowing God to her is not just from reading a book about the Bible or listening to a sermon about God; her knowledge of God is from her experience of faith that she is living every day. Every day as she talks to people, she is always sharing her faith in the Living Savior who is at work in her physical life as well as her spiritual life. Thank you Cindy and Richard for allowing me to experience your faith this past weekend. I want to challenge you just as I have been challenged to live in faith in a God who is very much alive and working just as He has done from the beginning of all creation. No matter what the situation is that you have encountered, God is there and is working. Let me ask you, “Who is God to you?” Have you experienced Him today?